2:10 Ye are witnesses, and God also, how holily and justly and unblameably we behaved ourselves among you that believe: (2:10) "Ye are witnesses, and God also, how holily and justly and unblameably we behaved ourselves among you." Paul, with his usual modesty, proclaims that he is holy, just, and blameless. 2:13 For this cause also thank we God without ceasing, because, when ye received the word of God which ye heard of us, ye received it not as the word of men, but as it is in truth, the word of God, which effectually worketh also in you that believe. (2:14-16) Paul accuses the Jews of killing Jesus, along with their own prophets, displeasing God, and being "contrary to all men." He concludes that the wrath of God will "come upon them to the uttermost." 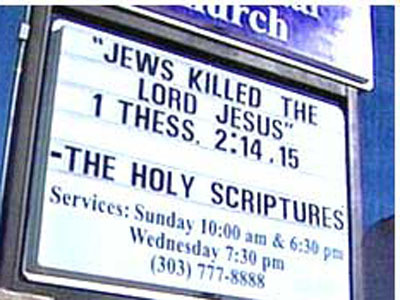 (2:14-15) "The Jews ... killed the Lord Jesus, and their own prophets, and have persecuted us; and they please not God, and are contrary to all men." (2:16) "The wrath is come upon them to the uttermost." 2:17 But we, brethren, being taken from you for a short time in presence, not in heart, endeavoured the more abundantly to see your face with great desire. (2:18) "We would have come unto you, even I Paul, once and again; but Satan hindered us." (2:19) "Are not even ye in the presence of our Lord Jesus Christ at his coming?" Paul believed that those alive in 49 CE would live to see Jesus come.